For the millions of Americans using e-cigarettes, the process of purchasing devices or e-liquids will soon come with a prompt to show ID—the FDA has declared that e-cigarettes, like other tobacco products, may no longer be sold to minors. The battery-powered devices have become wildly popular over the last decade, especially among teenagers and young adults. At least some of this popularity stems from their marketing as safe alternatives to conventional, combustible cigarettes, as well as their many, often fruity flavors. There’s also the question of who’s using e-cigarettes, and why. If most users are reducing or entirely avoiding a riskier exposure to cigarette smoke, does any risk associated with vaping matter? Could any benefits of adult smokers potentially switching to vaping outweigh the costs of more young people potentially picking up the e-cigarette habit? And is vaping a gateway to smoking conventional cigarettes? Aruni Bhatnagar, a professor of medicine at the University of Louisville, breaks down what we know and what we’re still learning about e-cigarettes and their users. Aruni Bhatnagar is a professor of medicine, in the cardiology division, at the University of Louisville in Louisville, Kentucky. IRA FLATOW: This is Science Friday. I’m Ira Flatow. Do you vape? If you don’t know what I’m talking about, then you are not part of the e-cigarette revolution. 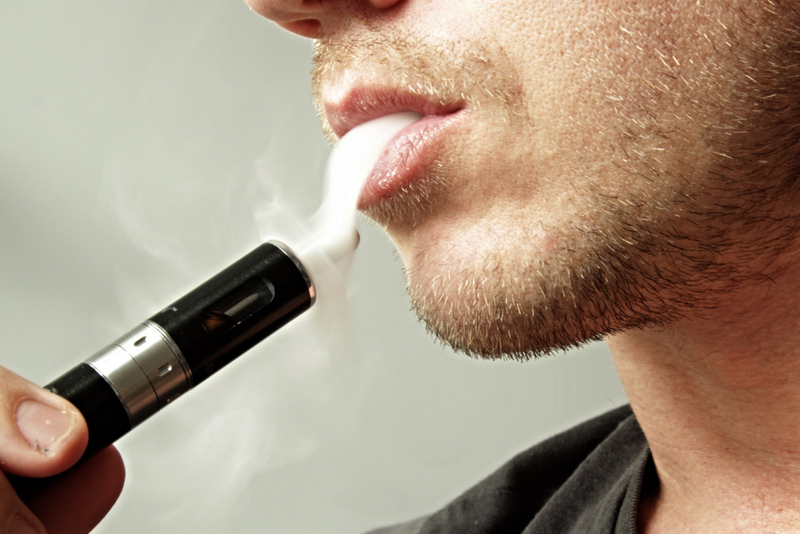 Over the last decade, e-cigarette use has skyrocketed, especially among young people. They’ve been peddled as safer, smoke-free alternatives to combustible cigarettes and as a tool for helping long-time smokers eventually quit nicotine entirely. But how much can we say conclusively about the safety and promises of e-cigarettes? What about their appeal to kids? There are literally thousands of fruity flavored e-liquids, including mango, root beer, pina colada, and so on. Could vaping become a gateway to other kinds of tobacco products? New FDA rules announced earlier this month will prohibit sales to minors and require companies to disclose e-liquid ingredients. But is this regulation overly cautious or not cautious enough? My next guest discusses these questions and more as we talk about the science of vaping. And you can join our conversation, 844-724-8255. You can also tweet us @scifri. Aruni Bhatnagar is a professor of medicine and a professor of microbiology and biochemistry at the University of Louisville. He chaired the American Heart Association’s first report on the safety of e-cigarette products. He is principal investigator in developing the AHA’s tobacco regulation and addiction center. Professor Bhatnagar, welcome to Science Friday. ARUNI BHATNAGAR: Thank you. Glad to be here. IRA FLATOW: Let me ask you about what exactly is the difference between an e-cigarette, how that works in comparison to conventional cigarettes? ARUNI BHATNAGAR: So the main difference is that in conventional tobacco cigarettes, the tobacco is burned and then the nicotine is then transferred into the aerosol. Whereas in e-cigarettes, there is no burning, and there is a solution of a carrier, which is usually propylene glycol or glycerol, and that’s heated. And that’s how the nicotine is inhaled, so a big difference. IRA FLATOW: So it’s not actually a vapor. It’s called vaping. ARUNI BHATNAGAR: No. The vapor is a misnomer. Vapor is something that a gas that turns into vapor. Scientifically, this is an aerosol. So it has both particles and gases. IRA FLATOW: And what do we know for sure about how safe all this is? ARUNI BHATNAGAR: Unfortunately, not very much. There have been some studies in the last few years. But I think the picture is still unclear. We do not know to what level or to what extent these devices are safe. IRA FLATOW: So we don’t know, for example, about our hearts. We know that cigarettes are bad for our hearts. What about these e-cigarettes? ARUNI BHATNAGAR: It’s not very clear. I mean, we know that cigarettes are bad. And we know that there are certain constituents in cigarettes that are particularly bad. And because e-cigarettes are not combusted so they don’t generate any of the combustion products, some expect that they would not be toxic at all. But it remains unclear with the things that are still remaining in e-cigarettes, particularly the particles that are generated in the aerosol or the residual aldehydes that are generated, all the breakdown products of propylene glycol or glycerol, all the nicotine. Any of these could be harmful. But we do not know to what extent they would be. IRA FLATOW: Hang on. I don’t think I knew that there were that many ingredients. ARUNI BHATNAGAR: Yes. I mean, it varies from the device to device. You know, there are three new generations or three total generations of e-cigarettes. They come to be like cigalikes and tank types. So they are of different voltages and different sort of power. So there is a whole sort of science and art to it now. And the composition varies. So it’s been very difficult for us scientists to be able to track down a specific device and say, this has a toxicity and the others do not. So it’s a sort of a moving target for us now. IRA FLATOW: You know, after many decades of advertising and listening to the tobacco companies, we came to realize later that, really, a cigarette is just a means of delivering nicotine to you. It’s a delivery system. So an e-cigarette is basically the same kind of thing. ARUNI BHATNAGAR: Yes. And there has been this belief that nicotine by itself is not as particularly harmful and that if you deliver it in a certain way which gets rid of the combustion products, then it might not do as much harm as nicotine with the presence of all the other 7,000 chemicals that are present in regular cigarettes. But since we do not know much, even about cigarettes, and which particular constituents are chemicals and that cause harm, we can’t be sure whether most of them are gone or some of the remaining ones are still associated with residual toxicity. IRA FLATOW: What’s your feeling about, now, all these different fruity flavors of e-cigarettes coming out? ARUNI BHATNAGAR: That’s a real problem. So the e-cigarette companies have been claiming that they want to wean people off combustible products and put them onto safer e-cigarette products and that they are doing it to decrease disease and morbidity and mortality in the world. But the problem is that they’re, at the same time, making these e-cigarettes in flavors that would be quite at home at a birthday party of a third grader. So what are they trying to do? We think that the strategy is to recruit a new generation of nicotine addicts by enticing them with this variety of different flavors. And so the health care public as well as the health care activists are particularly concerned that this might be back to the 1960s, where the tobacco companies are luring new addicts into the fold. IRA FLATOW: And the FDA released rules earlier this month that will prohibit the sale of e-cigarettes to minors and require manufacturers to disclose their ingredients and practices. Do you think this is going to be good for public health? ARUNI BHATNAGAR: Yes. So the public health community has universally hailed this regulation as being something which was long awaited. In the time, in the last two, three years, there was a wild, wild west there. People were mixing their ingredients. Nobody knew what was in what device and how each device was being operated. There were no standards. And you could mix your own e-juice in your bath tub and sell it out in your vape shop. The FDA now would require– and it’ll take two years before everything is put into place– require that people at least disclose what is in their products, as we do for any other thing that we eat or drink. So we think these are very sensible, useful, and timely regulations that were much needed. The flip side is that it would be a prohibitive cost, perhaps, on small businesses and vape shops. And maybe only the bigger manufacturing companies or even the big tobacco might be able to afford the information that FDA requests in order to meet the regulation. But there is absolutely no other way to have these products in the market without regulation. IRA FLATOW: Do you see e-cigarettes– I mean, the advertisers have been saying this is a way of getting people off of regular cigarettes. But you could flip this around and say this is a way of getting people– e-cigarettes are a gateway to regular smoking. ARUNI BHATNAGAR: Yes. So a couple of issues with that– there is some anecdotal evidence and some weak scientific evidence but not rigorous sort of randomized control trials that have shown that they are indeed effective as cessation devices. That’s one. The second is in smokers, as well– so most people are using e-cigarettes and tobacco cigarettes together. So they are what we call indulging in dual use. And so it might, in the end, prolong a nicotine addiction. Thirdly, yes, some people worry about e-cigarette use by young people. There are about 1% or 2% new high school students who have now tried e-cigarettes and several of them are using e-cigarettes on a daily and a monthly basis. And so we are very concerned that this is fueling nicotine addiction in the society. And there is also some evidence, although some other people fiercely contest against it, that it is a gateway drug. IRA FLATOW: E-cigarettes are being advertised as something you smoke anywhere at any time. And we do see that. We see people what they call vaping in airports, bars, other places that have not allowed cigarettes, regular cigarettes in years. If that’s allowed in there, is this going to sort of change our perception of how normal smoking is? ARUNI BHATNAGAR: Yes. Yeah. So there are two problems again with that. The first is that even though e-cigarettes don’t contain secondhand smoke in the senses that they don’t smolder, but the exhaled aerosol can be absorbed by a bystander and would deliver as much nicotine to the other person as if you were being exposed to a cigarette. So the nicotine exposure is similar, yes, because the combustion products are lesser in e-cigarettes that there would be less exposure to the person with combustion products. The second, and perhaps most important point, and you really correctly pointed out, is that the gains in public health that we have made in an anti-smoking campaign has been to denormalize smoking, to prevent it being as an acceptable behavior in public, even in movies and theaters and place so that that is something not we or our children see on a daily basis. Now, putting e-cigarettes back in place in public eye would, we fear, sort of renormalize smoking and could potentially erode all the public health gains we made in the last 50 years. IRA FLATOW: Is it OK to ask someone to put out their e-cigarette? ARUNI BHATNAGAR: Yes. I mean, e-cigarette is not lit, so it cannot be put out. They stop inhaling it. Yes, and because it is in some sense a civil right issue. I mean, you don’t want to be involuntarily exposed to a psychoactive drug, would you? So you have full right to say that you should not be exposed to this involuntarily. IRA FLATOW: You know, it took decades for us to figure out that cigarettes were as toxic as we now know them to be. How long is it going to take for us to really have a sense of how safe or dangerous e-cigarettes are? ARUNI BHATNAGAR: Perhaps sooner than later. We have learned a lot from looking at the conventional cigarette toxicity. The FDA has started a huge program with 14 research centers around the country. The American Heart Association center that I co-direct is one of them. And we are trying vigorously to be able to come out with some useful information about the long-term toxicity. But it’s going to take time. And we need to see how much disease is increased or decreased with the use of e-cigarettes. IRA FLATOW: Well, thank you for starting that conversation here with us. ARUNI BHATNAGAR: Thank you very much for listening to me. Thanks. IRA FLATOW: You’re welcome. Aruni Bhatnagar is a professor of medicine and a professor of microbiology and biochemistry at the University of Louisville. And he chaired the American Heart Association’s first report on the safety of e-cigarette products.